The western corn rootworm (Diabrotica virgifera virgifera LeConte) is one of the most serious crop pests in North America and Europe. Western corn rootworm feeding causes reduced water and mineral uptake. Yield loss is most severe when water is limiting. Grain from damaged plants is also more likely to be left in the field due to increased lodging of plants with reduced brace root support. Western corn rootworms are univoltine (meaning they have only one generation per year), with eggs overwintering in the soil. My research group has initiated and maintain a number of collaborations in five broad areas of research involving western corn rootworms: breeding native resistance in maize to rootworm larval feeding, resistance management to transgenic maize, the chemical ecology of rootworm-host interactions, the role of Wolbachia in rootworm-host interactions, and tritrophic interactions of nematodes, rootworms, and maize. Our native resistance breeding team currently includes the University of Illinois, USDA-ARS, Brookings, SD, and AgReliant Genetics. This team has evaluated tens of thousands of corn roots for rootworm damage each of the last few years, and we hope to have molecular markers associated with natural resistance to larval feeding soon via the mapping populations that we have developed together. In the area of resistance management to transgenic maize, we work closely with the University of Nebraska, USDA-ARS, Ames, IA, and (recently) Iowa State University. The number of resistant colonies and products that western corn rootworms are resistant to is expanding. Together with Colorado State University, we are currently working toward the chemical identification of host recognition cues and a broader understanding of rootworm-host interaction, in general. And with the Université de Neuchâtel, Switzerland, we also have ongoing studies on tritrophic interactions of nematodes, rootworms, and maize; our lab primarily is involved in facilitating field studies that can not be done in Europe. Finally, we also work closely with fellow IPG member Georgia Davis at MU on a study of Wolbachia-rootworm-maize interactions. Recent data from these studies indicate that this area of research could fundamentally change the way we view insect/host interactions. Gullickson, Gil. 2008. Why not the best? : There’s a reason for 20% refuges. Refuge relief is on the way, though. Successful Farming. July, 2008. Wenzel, Wayne. 2007. Refuge Angst. Farm Journal, October: 27-29. Powell, Kendall. 2003. Concerns over refuge size for US EPA-approved Bt corn. Nature Biotechnology 21: 467-468. Meihls LN, Higdon ML, Ellersieck M, and Hibbard BE. Selection for resistance to mCry3A-expressing transgenic corn in western corn rootworm. Journal of Economic Entomology 2011;104(3):1045-1054. Bernklau EJ, Hibbard BE, Bjostad LB. Antixenosis in maize reduces feeding by western corn rootworm larvae (Coleoptera: Chrysomelidae) Journal of Economic Entomology 2010;103(6):2052-2060. Bernklau EJ, Bjostad LB, and Hibbard BE. Evaluating maize for behavioral mechanisms of resistance to Diabrotica virgifera virgifera LeConte (Coleoptera: Chrysomelidae). Journal of Economic Entomology (In Press). Erb M, Robert C, Hibbard BE, and Turlings TCJ. Sequence of arrival determines plant-mediated interactions between herbivores in the field. Journal of Ecology (In Press). Hibbard BE, Clark TL, Ellersieck MR, Meihls LN, El Khishen AA, Kaster V, York-Steiner H, and Kurtz R. Mortality of western corn rootworm larvae on MIR604 transgenic maize roots: Field survivorship has no significant impact on survivorship of F1 progeny on MIR604. Journal of Economic Entomology (In Press). Bernklau EJ, Bjostad LB, and Hibbard BE. Synthetic feeding stimulants enhance insecticide activity against western corn rootworm larvae, Diabrotica virgifera virgifera (Coleoptera: Chrysomelidae). Journal of Applied Entomology 2010 (in press, DOI: 10.1111/j.1439-0418.2009.01502.x). Hibbard BE, Meihls LN, Ellersieck MR and Onstad DW. Density-dependent and density-independent mortality of the western corn rootworm: Impact on dose calculations of rootworm-resistant Bt corn. Journal of Economic Entomology 2010, 103(1):77-84. Sappington TW, Ostlie KR, DiFonzo C, Hibbard BE, Krupke CH, Porter P, Pueppke S, Shields EJ, and Tollefson JJ. Conducting public-sector research on commercialized transgenic seed: In search of a paradigm that works. GM Crops 2010, 1:55-58. Erb M, Köllner T, Degenhardt J, Zwahlen C, Hibbard BE, and Turlings TCJ. The role of abscisic acid and water stress in root herbivore-induced leaf resistance. New Phytologist 2010, 189: 308-320. Meihls LN and Hibbard BE. Dolatia coriaria (Kraatz) (Coleoptera: Staphylinidae) as a pest of laboratory and greenhouse colonies of the Western corn rootworm (Coleoptera: Chrysomelidae). Journal of the Kansas Entomological Society 2009, 82(4):311-315. Khishen AAE, Bohn MO, Prischmann-Voldseth DA, Dashiell KE, French BW and Hibbard BE. Native resistance to western corn rootworm (Coleoptera: Chrysomelidae) larval feeding: Characterization and mechanisms. Journal of Economic Entomology 2009, 102(6):2350-2359. Chege PG, Clark TL and Hibbard BE. Initial larval feeding on an alternate host enhances western corn Rootworm (Coleoptera: Chrysomelidae) beetle emergence on Cry3Bb1-expressing maize. Journal of the Kansas Entomological Society 2009, 82(1):63-75. Spencer JL, Hibbard BE, Moeser J, Onstad DW: Behaviour and ecology of the western corn rootworm (Diabrotica virgifera virgifera LeConte). Agricultural and Forest Entomology 2009, 11(1):9-27. Prischmann DA, Dashiell KE, Hibbard BE: Assessing larval rootworm behaviour after contacting maize roots: Impact of germplasm, rootworm species and diapause status. Journal of Applied Entomology 2009, 133(1):21-32. Ivezic M, Raspudic E, Brmez M, Majic I, Brkic I, Tollefson JJ, Bohn M, Hibbard BE, Simic D: A review of resistance breeding options targeting western corn rootworm (Diabrotica virgifera virgifera LeConte). Agricultural and Forest Entomology 2009, 11(3):307-311. Hibbard BE, Khishen AAEL, Vaughn TYT: Impact of mon863 transgenic roots is equivalent on western corn rootworm larvae for a wide range of maize phenologies. Journal of Economic Entomology 2009, 102(4):1607-1613. Flint-Garcia SA, Dashiell KE, Prischmann DA, Bohn MO, Hibbard BE: Conventional screening overlooks resistance sources: Rootworm damage of diverse inbred lines and their R73 hybrids is unrelated. Journal of Economic Entomology 2009, 102(3):1317-1324. Degenhardt J, Hiltpold I, Kollner TG, Frey M, Gierl A, Gershenzon J, Hibbard BE, Ellersieck MR, Turlings TCJ: Restoring a maize root signal that attracts insect-killing nematodes to control a major pest. Proceedings of the National Academy of Sciences of the United States of America 2009, 106(32):13213-13218. Degenhardt J, Hiltpold I, Kollner TG, Frey M, Gierl A, Gershenzon J, Hibbard BE, Ellersieck MR, Turlings TCJ: Restoring a maize root signal that attracts insect-killing nematodes to control a major pest. Proceedings of the National Academy of Sciences of the United States of America 2009, 106(41):17605. Buchwald R, Breed MD, Bjostad L, Hibbard BE, Greenberg AR: The role of fatty acids in the mechanical properties of beeswax. Apidologie 2009, 40(5):585-594. Bernklau EJ, Bjostad LB, Meihls LN, Coudron TA, Lim E, Hibbard BE: Localized search cues in corn roots for western corn rootworm (Coleoptera: Chrysomelidae) larvae. Journal of Economic Entomology 2009, 102(2):558-562. Oyediran IO, French BW, Clark TL, Dashiell KE, Hibbard BE: Prairie grasses as hosts of the northern corn rootworm (Coleoptera: Chrysomelidae). Environmental Entomology 2008, 37(1):247-254. Olmer KJ, Hibbard BE: The nutritive value of dying maize and Setaria faberi roots for western corn rootworm (Coleoptera: Chrysomelidae) development. Journal of Economic Entomology 2008, 101(5):1547-1556. Meihls LN, Higdon ML, Siegfried BD, Miller NJ, Sappington TW, Ellersieck MR, Spencer TA, Hibbard BE: Increased survival of western corn rootworm on transgenic corn within three generations of on-plant greenhouse selection. Proceedings of the National Academy of Sciences of the United States of America 2008, 105(49):19177-19182. 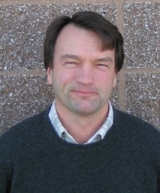 Hibbard BE, Schweikert YM, Higdon ML, Ellersieck MR: Maize phenology affects establishment, damage, and development of the western corn rootworm (Coleoptera: Chrysomelidae). Environmental Entomology 2008, 37(6):1558-1564. Behle RW, Hibbard BE, Cermak SC, Isbell TA: Examining Cuphea as a potential host for western corn rootworm (Coleoptera: Chrysomelidae): Larval development. Journal of Economic Entomology 2008, 101(3):797-800. Simic D, Ivezic M, Brkic I, Raspudic E, Brmez M, Majic I, Brkic A, Ledencan T, Tollefson JJ, Hibbard BE: Environmental and genotypic effects for western corn rootworm tolerance traits in American and European maize trials. Maydica 2007, 52(4):425-430. Prischmann DA, Dashiell KE, Schneider DJ, Hibbard BE: Field screening maize germplasm for resistance and tolerance to western corn rootworms (Col.: Chrysomelidae). Journal of Applied Entomology 2007, 131(6):406-415. Oyediran IO, Higdon ML, Clark TL, Hibbard BE: Interactions of alternate hosts, postemergence grass control, and rootworm-resistant transgenic corn on western corn rootworm (Coleoptera: Chrysomelidae) damage and adult emergence. Journal of Economic Entomology 2007, 100(2):557-565. Wilson TA, Clark TL, Hibbard BE: Number of point sources of western corn rootworm (Coleoptera: Chrysomelidae) eggs in artificial infestations affects larval establishment and plant damage. Journal of the Kansas Entomological Society 2006, 79(2):119-128. Onstad DW, Hibbard BE, Clark TL, Crowder DW, Carter KG: Analysis of density-dependent survival of Diabrotica (Coleoptera: Chrysomelidae) in cornfields. Environmental Entomology 2006, 35(5):1272-1278. Ivezic M, Tollefson JJ, Raspudic E, Brkic I, Brmez M, Hibbard BE: Evaluation of corn hybrids for tolerance to corn rootworm (Diabrotica virgifera virgifera LeConte) larval feeding. Cereal Research Communications 2006, 34(2-3):1101-1107. Oyediran IO, Hibbard BE, Clark TL: Western corn rootworm (Coleoptera: Chrysomelidae) beetle emergence from weedy Cry3Bb1 rootworm-resistant transgenic corn. Journal of Economic Entomology 2005, 98(5):1679-1684. Hibbard BE, Vaughn TT, Oyediran IO, Clark TL, Ellersieck MR: Effect of Cry3Bb1-expressing transgenic corn on plant-to-plant movement by western corn rootworm larvae (Coleoptera: Chrysomelidae). Journal of Economic Entomology 2005, 98(4):1126-1138. Glover MA, Willmot DB, Darrah LL, Hibbard BE, Zhu X: Diallel analyses of agronomic traits using Chinese and U.S. maize germplasm. Crop Science 2005, 45(3):1096-1102. Chege PG, Clark TL, Hibbard BE: Alternate host phenology affects survivorship, growth, and development of western corn rootworm (Coleoptera: Chrysomelidae) larvae. Environmental Entomology 2005, 34(6):1441-1447. Wilson TA, Hibbard BE: Host suitability of nonmaize agroecosystem grasses for the western corn rootworm (Coleoptera: Chrysomelidae). Environmental Entomology 2004, 33(4):1102-1108. Willmot DB, Hibbard BE, Darrah LL, Pollak LM, Montgomery K, Pratt RC, Abel CA, Hawk JA, Weldekidan T, Foster JE: Effect of environment on resistance to the european corn borer (Lepidoptera: Crambidae) in maize. Journal of Economic Entomology 2004, 97(5):1745-1751. Oyediran IO, Hibbard BE, Clark TL, French BW: Selected grassy weeds as alternate hosts of northern corn rootworm (Coleoptera: Chrysomelidae). Environmental Entomology 2004, 33(5):1497-1504. Oyediran IO, Hibbard BE, Clark TL: Prairie grasses as hosts of the western corn rootworm (Coleoptera: Chrysomelidae). Environmental Entomology 2004, 33(3):740-747. Martin SA, Darrah LL, Hibbard BE: Divergent selection for rind penetrometer resistance and its effects on European corn borer damage and stalk traits in corn. Crop Science 2004, 44(3):711-717. Hibbard BE, Higdon ML, Duran DP, Schweikert YM, Ellersieck MR: Role of egg density on establishment and plant-to-plant movement by western corn rootworm larvae (Coleoptera: Chrysomelidae). Journal of Economic Entomology 2004, 97(3):871-882. Clark TL, Hibbard BE: Comparison of nonmaize hosts to support western corn rootworm (Coleoptera: Chrysomelidae) larval biology. Environmental Entomology 2004, 33(3):681-689. Hibbard BE, Duran DP, Ellersieck MR, Ellsbury MM: Post-Establishment Movement of Western Corn Rootworm Larvae (Coleoptera: Chrysomelidae) in Central Missouri Corn. Journal of Economic Entomology 2003, 96(3):599-608. Flint-Garcia SA, Darrah LL, McMullen MD, Hibbard BE: Phenotypic versus marker-assisted selection for stalk strength and second-generation European corn borer resistance in maize. Theoretical and Applied Genetics 2003, 107(7):1331-1336.